The American Civil Liberties Union has filed a complaint in support of Amazon.com’s lawsuit against the N.C. Department of Revenue. The state is seeking detailed information about customer purchases as part of an effort to collect sales taxes on online purchases. Solid-state drive manufacturers plan to begin selling their consumer SSD products in brick-and-mortar stores, indicating that everyday users might be ready to use flash-based products as replacements for or supplements to traditional hard drives. Sun hardware shops happy? Not so fast, Oracle! Several stalwart Sun shops are moving off their beloved Sparc hardware to non-Oracle alternatives. Prices of DRAM, the main memory chips used in personal computers, fell for the first time in over a year in June as companies increased production and PC vendors toughened their stance on further price increases. While Nvidia developers see a 100x speed increase, Intel only sees 14x with some kernels using CUDA. Several months ago, Massachusetts passed a sweeping new data security law that will have a profound impact on the way the United States, and perhaps the rest of the world, manages and develops data-centric applications. Oddly, most people in the business and technical communities don’t seem to know about it. Since they're theoretically capable of 300 megabyte per second transfer rates, we knew SDXC cards wouldn't stay slow forever. How will we separate wheat from chaff when faster models do appear, though? You're looking at it. 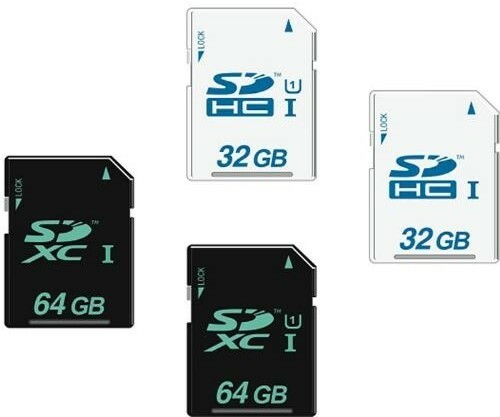 This week, the SD Association unveiled the UHS-I specification for SDXC and SDHC cards capable of transferring data at up to 104 megabytes per second -- reportedly fast enough to record HD videos in real time. Why the association chose the phrasing "up to" is a little iffy, as we thought the point of such specifications was quality control, but considering how many Class 4 and Class 6 SD cards we've tossed that didn't match up to spec, we suppose we'll make do with a ballpark estimate... until the inevitable UHS-II makes the rounds. PR after the break. Between 2003 and 2005, Dell sold millions of OptiPlex computers to everyone from Walmart to Mayo Clinic. And according to newly unsealed documents, Dell knew these systems were full of dangerously faulty motherboards all along. Trying to describe Juniper's UAC is difficult, because Juniper's NAC strategy has its tendrils in virtually every security product the company makes, from firewalls to switches to SSL VPNs. Intel's next-generation processor code-named Westmere-EX may include more cores than the company's current server chips, according to the title of a paper about the chip announced on Sunday.